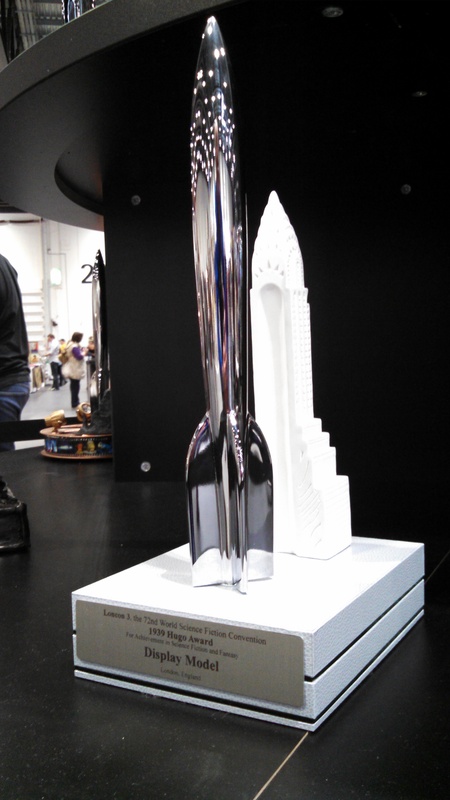 Trophy from 1939 Retrospective Hugo Awards presented at 2014 World Science Fiction Convention in London. Trophy design by Joy Alyssa Day. Photo by Kevin Standlee. Permission to use for non-commercial or journalistic purposes granted under a creative commons share-alike license.